Kasur Tempa Tsering was born on 15 May 1950 in Drumpa, Gyaltse, Tibet. After the invasion of the Chinese forces in Tibet in 1959, he and his parents escaped into exile in India. An alumnus of Dr. Grahams Homes, Kalimpong, he graduated with B.Sc. from Madras Christian College. He was elected as the member of the Central Executive Committee of the Tibetan Youth Congress and its advisor. In 1973, he joined the Tibetan civil service, as an interpreter and office secretary at the Bylakuppe Tibetan Settlement. 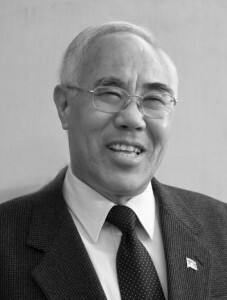 From 1974-80 as deputy secretary at the Department of Information and International Relations of Central Tibetan Administration. From 1981-85 as deputy secretary (and later as additional secretary) at the Office of His Holiness the Dalai Lama. From 1988-1990 as additional secretary at the Department of Home; as chief coordinator at the Chief Representative’s Office for the five settlements in the state of Karnataka. In 2000, the Tibetan Parliament in Exile, from a list of nominees proposed by the Dalai Lama, elected him as minister (Tibetan: Kalon). He held the portfolio of Kalon for the Department of Home until the term of the 11th Cabinet (Tibetan: Kashag) expired in 2001. In 2006, nominated as Kalon by Prof. Samdhong Rinpoche and later approved by the Members of Assembly and took the portfolio of Kalon for the Department of Information and International Relations along with the representative of the Dalai Lama in New Delhi. Since 2005, he is working as the representative of His Holiness the Dalai Lama in New Delhi.